Lines from Linderhof: Lazy Days Are Sundays? And so today . . . There is maybe $15 worth on the plate! At a pinch a recipe, it should make at least two dishes! With the German heritage of the Lutheran Church, the congregation thought an Oktoberfest was a great theme for a community feed. Can you see the face? Two eyes and a mustache or beard. These lovely yellow ones with little brown faces. Not a huge pansy but not a viola either. Love the rustiness of the hypertufa. Made not by me but bought at an garage sale in the city -- for pennies! 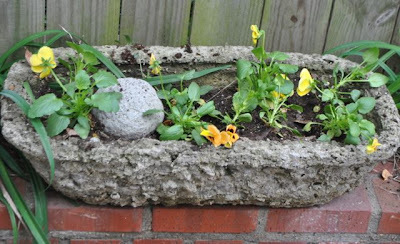 A hypertufa trough -- whose summer flowers were casualties of the drought. It's been empty most of the summer! 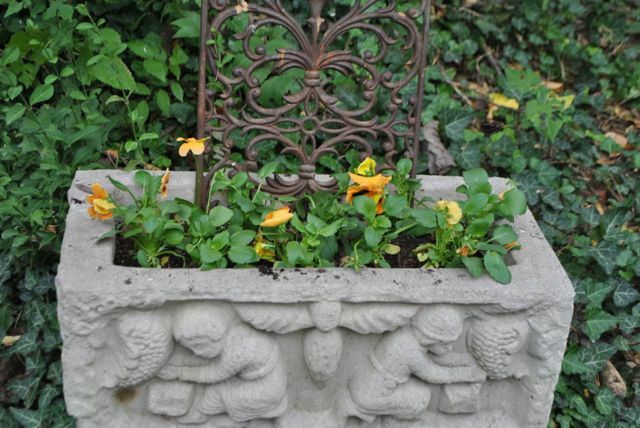 One of my favorite planters. It always looks good no matter what I fill it with! fill pots who's plants were lost to the first frost. And when I'm in the garden, I always have a helper . . . When a squirrel decides that a dog is no threat, they calmly go about what they were doing. It makes the dog bark even more! Who was distracted because a squirrel was just outside her reach and no matter how long and how hard she barked . . . it just sat and ate. "You may be bigger than me. But there is a fence between us. I can sit here and eat my fill and you can't get at me! Ha!" 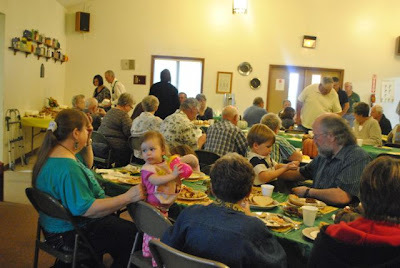 Who wanted to know who that neurotic short animal was who pierced the peace and quite of the afternoon. I cannot believe that Saffron is that expensive! 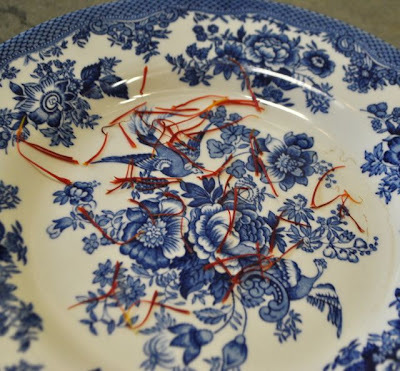 I know that my Aunt Nico used to use Saffron in a dry rub that she made that was used by all her sisters and nieces to make pastas. I wish I liked gardening, I've tried but it just seems like a lot of work, but yours is very pretty and obviously you love it. This is the second post I've seen about planting winter pansies - I must put some on my shopping list. The apple strudel looks good! 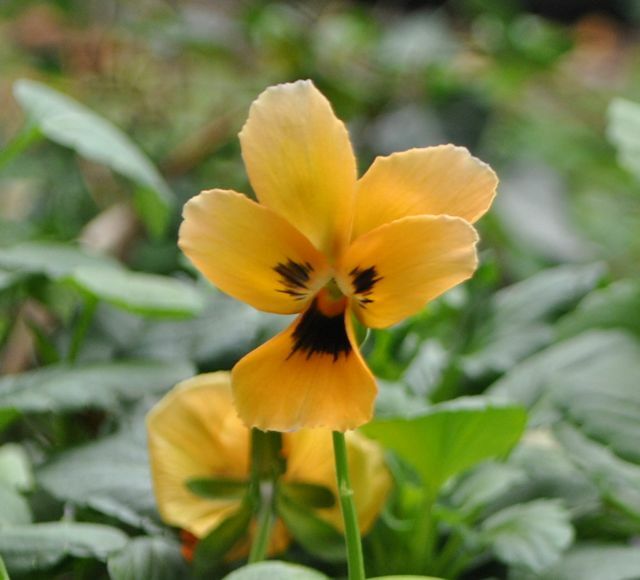 I do love that color pansy! About time to plant them here, but we have to be sure the heat is gone. 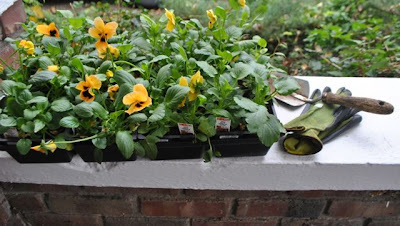 I love to plant pansies in the Fall! If our winter is mild they will last into the Spring.I have read saffron was the world's most expensive spice. I didn't know it came from a flower. 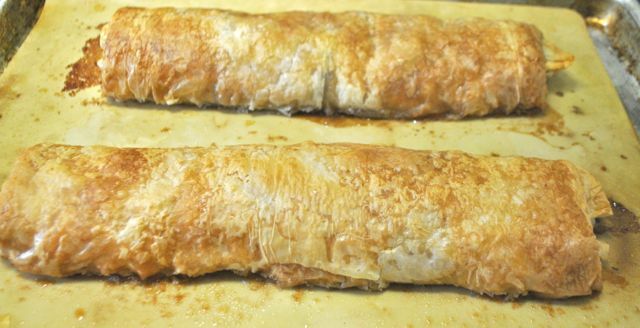 Your strudel looks delicious! We dog sat part of the weekend and granddog, Roscoe had two squirrel encounters! 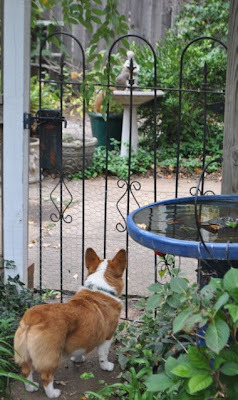 The first, he chased first and barked...the squirrel fled! 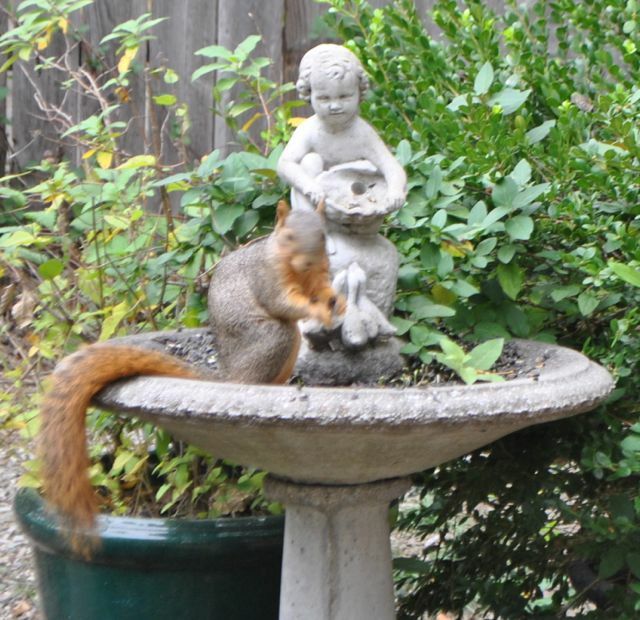 The second, he was as still as a statue, the squirrel inched his way down the tree and across the yard to the fence when Roscoe bounded rom the deck. No barking from Roscoe...the squirrel chatted all the way up the tree and out of the yard! "Mr.Ed" and I are so~o~o easily entertained!!! Ha!